Does anyone remember the first time or any time your mother did something to show that she believed in your talent or potential? Even though before hand she would sweep your requests for support under the rug and hope to God it was just a phase. 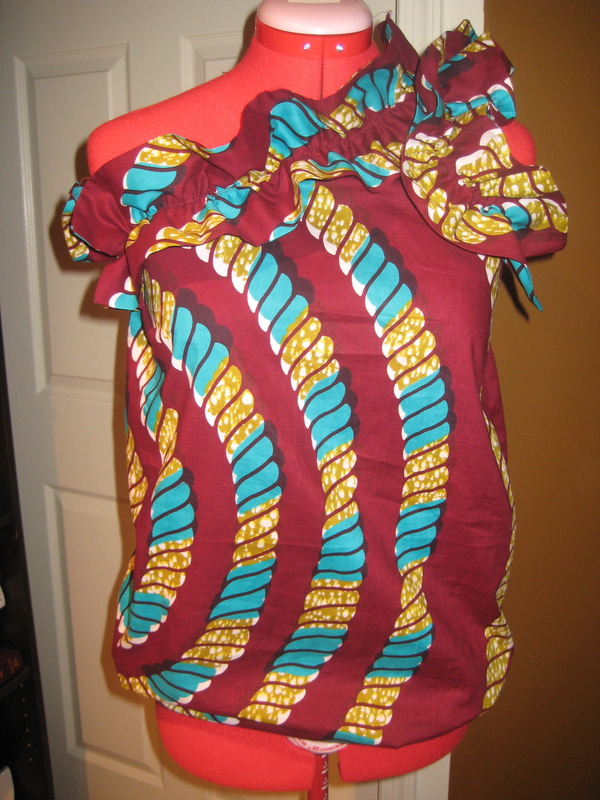 Over the holidays my passion to create was strong; so strong that I stole fabric from my mother forever marking me a “Closet Klepto”. So if you are not going to give it to me I will just take it (…at least that’s what I told myself)! 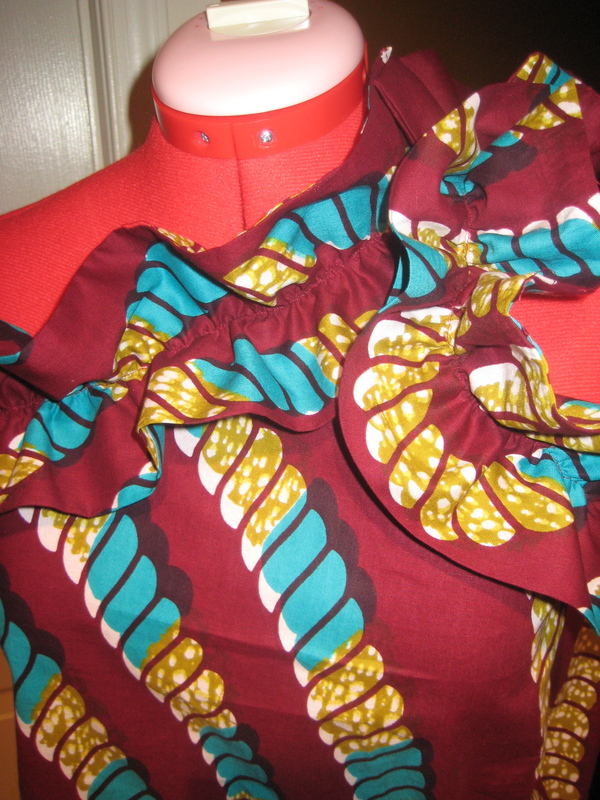 Well, the Shola blouse was inspired by just that! 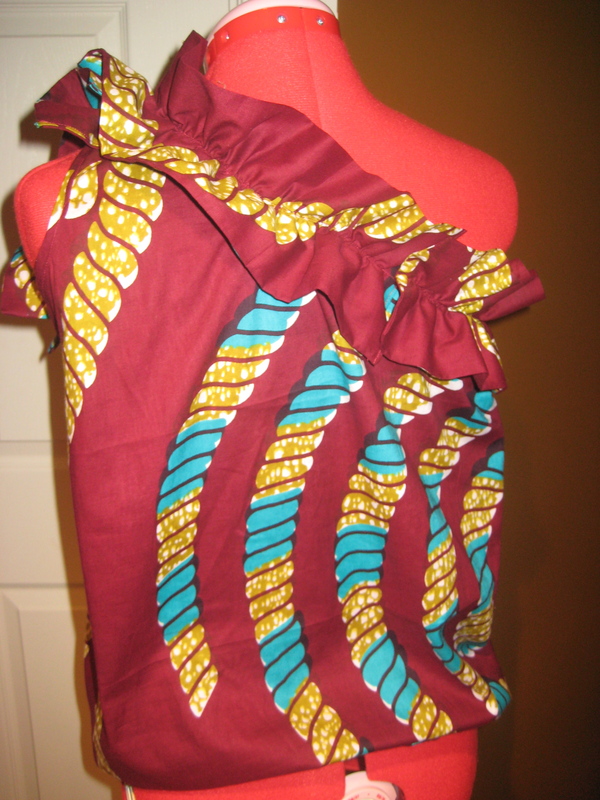 When my mother, Shola, finally believed I could create these fabulous garments she came to DC for my birthday last month and surprised me almost 27 yards of fabric as a birthday gift! 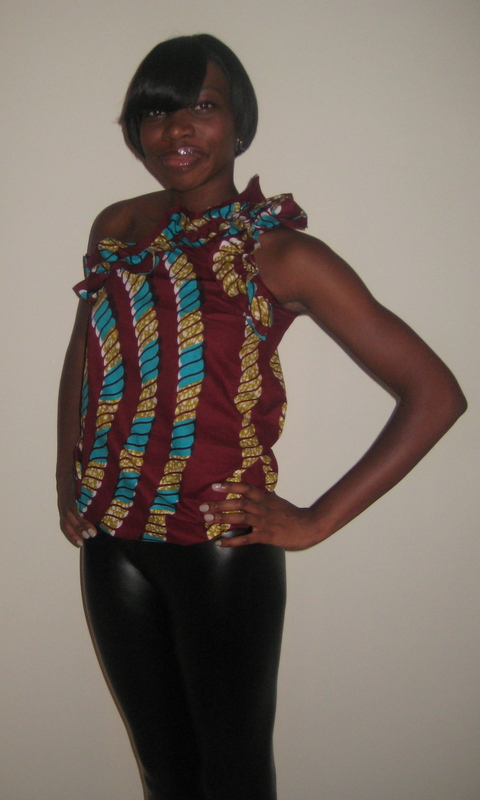 This blouse was the first garment that I made with the material she bought. Thanks mom, I love you!